Two revolutionary new design tools, namely 1) 3D printers and 2) BIM (Building Integrated Modeling) are enabling designers to create a new generation of products and buildings. The new design tools are so powerful that designers can now create new products, goods, and building structures that are truly innovative. These cutting-edge creations are potentially eligible for Federal and State R&D tax credits. In additive manufacturing, objects are built in a 3D printer by layering powdered or liquid material based on a digital three-dimensional design. Using this process, anything from artificial joints to model cars, delicate medical equipment to shoes, can be created. 3D printing works in several ways. 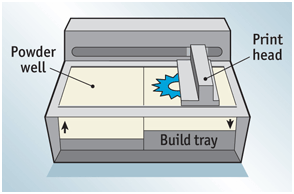 Some printers spread a thin layer of liquid polymer onto a perforated printing platform and use a laser to harden certain areas of the plastic. This creates a thin "slice" of the object. The perforated platform is then lowered slightly and the process is repeated, with the laser tracing out the shape of the object slice by slice, until the product is whole. Other printers employ a process called selective laser sintering, in which a UV laser is used to fuse together certain particles of metal or plastic powder in each layer. The un-sintered powder supports the structure of the object as it is being built and is blasted away and recycled after the process is complete. Other printers spray layers of powder in a binding solution that glues selected particles together. This technique, known as multi-jet modeling, allows different colored materials to be used, creating full color 3D objects. One of the biggest benefits of additive manufacturing is its ability to craft objects that have complex internal structures. Artificial limbs, for example, can be made using a 3D printer so that the inner structure of the bone is lattice-like instead of solid material, as it is in actual human bone. This delicate inner construction makes for an extremely light product without sacrificing strength, and would be nearly impossible to make using conventional methods. Even products with moving parts like clock mechanisms can be manufactured all in one piece. Large aerospace companies such as GE, Boeing and the European Aeronautic Defense and Space company (EADS) are at the forefront of experimenting with 3D printers. Aerospace manufacturers often need specialized parts with complex geometries to meet challenging airflow and cooling requirements in tight spaces. Developments in additive manufacturing technology have opened up design possibilities found in nature that were previously non-executable. 3D printing has made bio mimicry, or the emulation of natural processes and designs, increasingly plausible, which broadens the scope of what architects and engineers are able to create. The structural build of a plant stem allows it to be light, supple, and able to support very heavy objects, an ideal architectural support column. The stem is essentially a collection of vertical strings of various widths rolled together. Copying this interior framework using materials like concrete would be unfeasible if not for additive technology. In the medical world, biomimicry is especially useful in creating implants, artificial joints, hearing aids and dentures. The natural curves of bone or the inner structure of the ears or jaw can be easily copied using additive manufacturing. Bodily implants like these can be manufactured to precisely fit the individual they are intended for in ways that conventional manufacturing is unable to do. Sometimes, good design is found to follow Nature's example only after the design is completed, as the same physical principles apply to everything, manufactured or natural. A UK-based engineering firm, 3T RPD, uses additive manufacturing to create gearboxes and has found that the flow of hydraulic fluid can be compared to the movement of blood through arteries. It is easier for blood to flow through clear, friction-less arteries than coarse or clogged ones. In the same way, fluid pathways in a gearbox that can be made smoother and more confluent using 3D printing can make for more quickly changing gears and a more effective product. Speed: The time it takes to make a part is extremely slow at current printer speed levels. Before it is economically viable to use 3D printers across a wide range of industries, the technology will need to perform faster. Materials: Many desirable product material choices are not in the powdered form necessary for 3D printing. The compounds that meet the necessary criteria can cost 50 to 100 times more by weight than the typical material used in conventional manufacturing. First cost: The first cost is still too high which is common with new technologies. Some of the cost drivers include the speed issue and material costs described above. Repetitive consistency: Repeat design is not consistent enough for high volume production, which is also crucial to the cost challenges discussed above. The layering process sometimes builds up unpredictable interlayer stresses. Porosity can vary with batches of parts. The technology is still being primarily used at the prototype stage rather than the manufacturing production stage. Everyone in the building design community is talking about software called Building Integrated Modeling (BIM). Leading architecture and engineering firms (A & E firms) have now completed their first introductory BIM designs and are now mainstreaming BIM throughout their practices. To design, construct, and operate a facility on a PC, BIM uses three dimensional modeling concepts, information technology, and interoperable software. Architects and engineering firms have been using 2-D CAD (2 dimensional computer aided design) systems for years. Likewise large mechanical, electrical, plumbing, and fire protection/security system contractors have used 3-D Cad software to draw and their distribution systems and create fabricated systems. Often time constraints are such that both the building and the systems design teams are designing concurrently. However, since the A & E firms and contractors are typically working independently they cannot be certain that these systems will actually fit together upon installation. BIM allows all of the designers to work as team and identify design conflicts at the onset. Moreover this level of advanced design capability enables the joint team to design new structures and incorporate systems that have never been accomplished before. Witnessing the Power of BIM interior designers are now using BIM to incorporate all facets of their interior design including interior finishes, furniture, and fixtures. This level of design exactness enables interior designers to create shapes and sizes and incorporate functional personal property and equipment at a level never accomplished before. These exciting new design technologies are creating whole new possibilities of what can be manufactured and built. Federal and State R&D tax benefits are intended to encourage this high level of technological innovation. Not only do these high tech tools serve to improve products currently on the market, but also to expand the range of what can be produced in general. 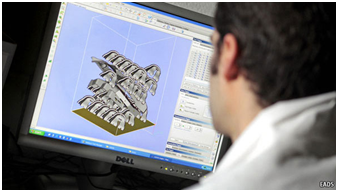 Additive Manufacturing and BIM are the enable the new shapes of R & D tax credits related to new innovate products and new innovate building design.